And does someone want to tell me exactly how and when it got to be noon on Friday? 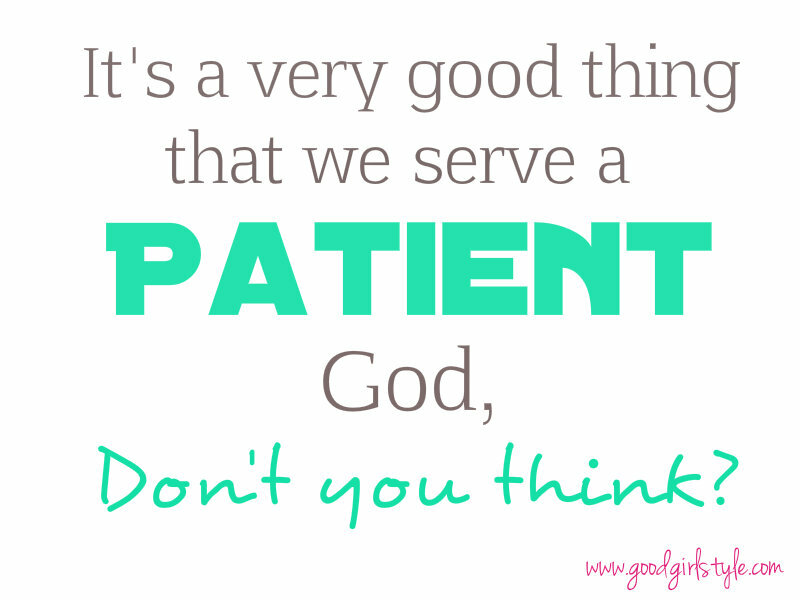 'Cause I can't wrap my brain around that one this week. Here are some little things! I've been really into carrying my collection of tote bags as purses lately. 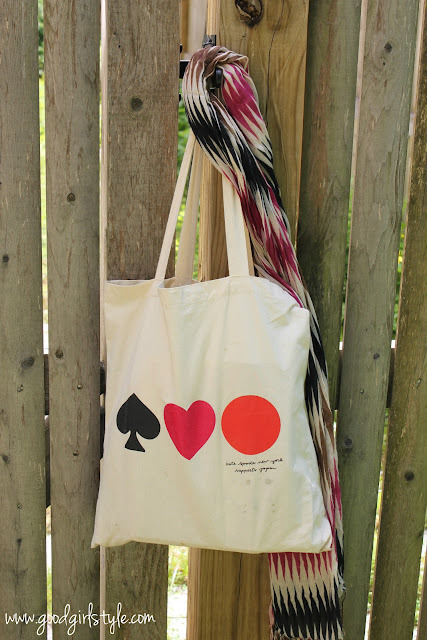 Here's a "Kate Spade Hearts Japan" one from after the tsunami. Ok, I will! 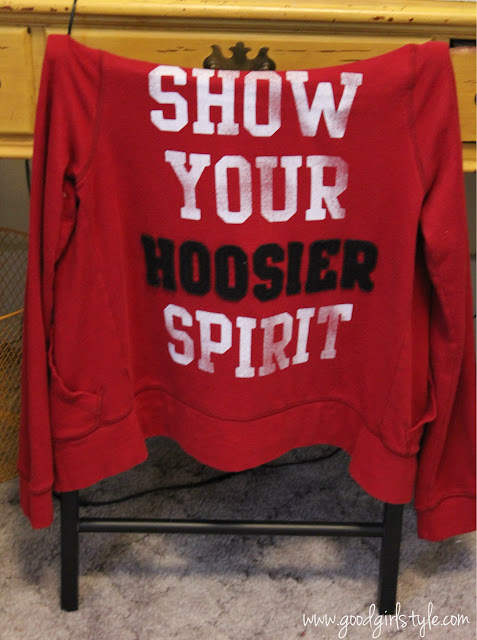 I may not live in a dorm room anymore, but I love my IU sweatshirt on the back of my home desk chair. 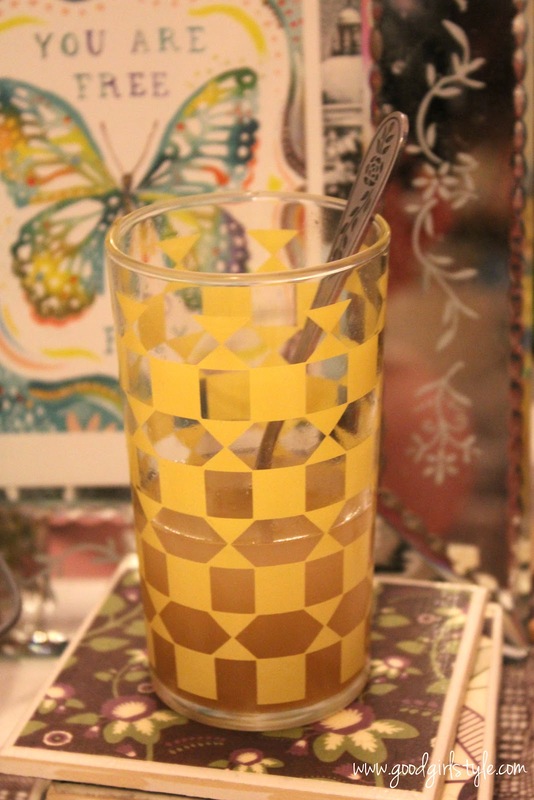 This is the vintage glass whose mate I broke :-/ Inside is actually a delicious ginger drink made from homemade ginger syrup. So refreshing on a hot summer night! 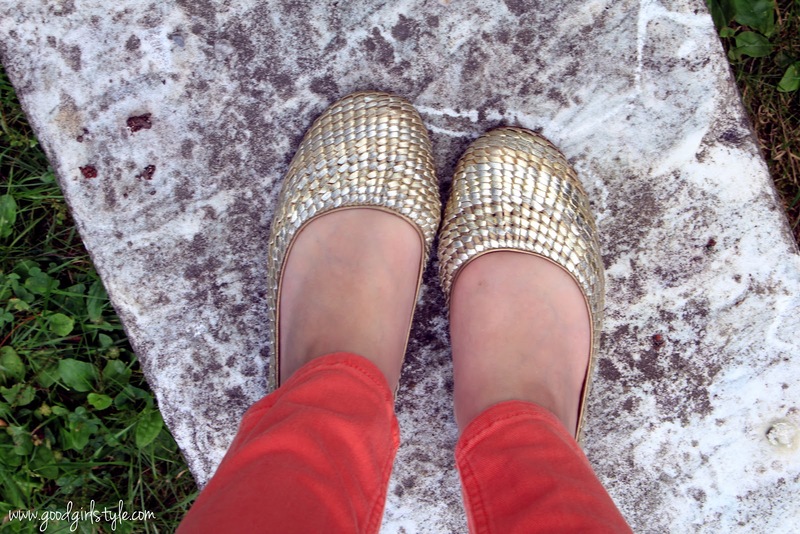 A shoe shot from an outfit I never got around to sharing. 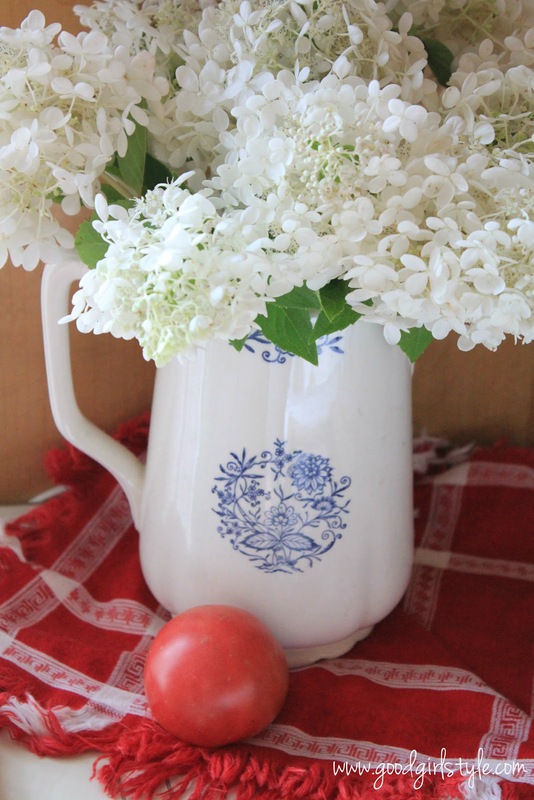 Flowers for the week plus an almost-too-ripe local tomato. 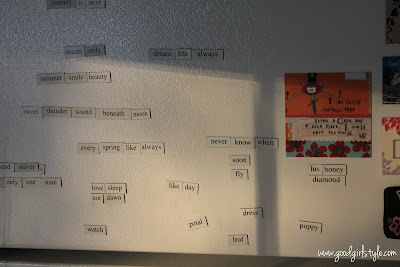 I just LOVE the light in my kitchen in the late afternoon and how it illuminates the magnetic poetry. 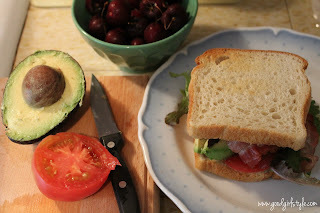 And I made good use of that tomato, along with organic greens, the most perfectly-ripe avocado, milti-grain bread, salt, pepper, and uncured bacon. And organic Washington state sweet cherries for dessert. Mmm! 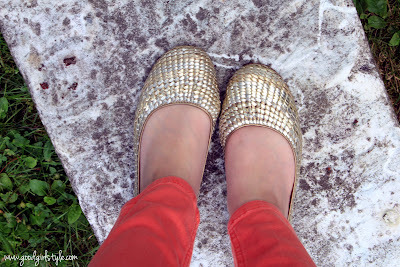 Have a great weekend, dears! !